These elements begin as complex or opaque, but gradually begin to provide more clarity as the viewer looks closer. Another important environmental element is the “Community Wall” in the breakroom. A vital component of this company’s brand is their defined culture and the cross-pollination of knowledge. By creating an element that the employees can use to share ideas and contribute to their environment, they are creating their own story and are continuing to define their brand. 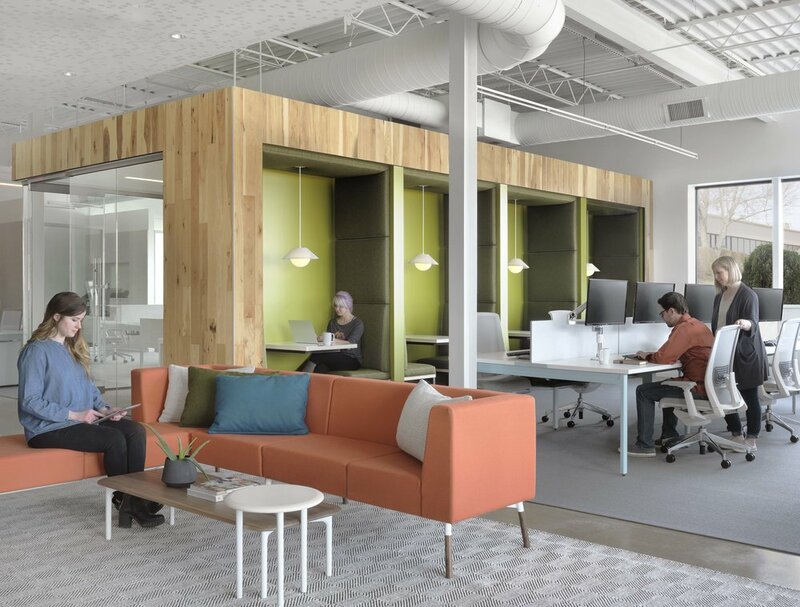 For anyone visiting their new space, the office provides clarity about not only the technology they provide, but how they define the company’s story and culture.